Thank you for the opportunity to visit here today and play a small role as you once again create a safe environment for the children to explore their world in preparation for their lives ahead. Thank you for your passion and your commitment to the children and their families. I acknowledge with sadness the loss that has been felt here. We feel your pain as our pain and we stand with you. When I read your invitation I was moved. You told me that you were holding this official reopening of the centre after the worst mosque terror attacks to show the community that ‘we are resilient in the face of such horrific events, to show the world we are not defeated by this worst terror attack and we will carry on’. These words are powerful indeed - they do not deny the atrocity that has occurred - however they reclaim the power that he tried to steal from us with the lives that were so cruelly taken. An act that was designed to divide us, has in fact united us. And it the extraordinary outpouring of love, compassion and kindness, Along with the infinite capacity for forgiveness and humanity expressed by our Muslim Communities has been the message that has been heard across the world. These are who we are as a city and a nation, and no one can taken them from us. An Nur Child Care Centre has been a special place for nearly 20 years. It provides a place for young mums to come together and share the joys and challenges of raising their children, offering and receiving advice from each other. The Maori word for teaching and learning is the same. Ako is to teach and Ako is to learn. We teach as we learn and vice versa. It takes a village to raise a child and that’s what is happening here. Congratulations on this reopening and thank you for all that you do. ​Established in ChCh in 2003, Dress for Success has been one of my favourite charities right from the start. The mission statement says that Dress for Success is to empower women to achieve economic independence by providing a network of support, professional attire and the development tools to help women thrive in work and in life. The name says it all. Dress for Success. I loved the idea that we could pass on clothes to help women enter or re-enter the workforce. It’s one of those invisible barriers - not having the wherewithal to buy the kinds of clothes that can help you walk into an interview with confidence. But the clothes are just the beginning - the outward sign of the empowerment model at play. Dress for Success is focused on unlocking the potential to succeed in the work place. They champion each individual woman. They take time. They listen. They style. They mentor. And together – they succeed. And we can all be a part of this. Today we are celebrating the return to the CBD after the earthquakes forced the service out to Riccarton. This will make the service truly accessible once again. So to Dress for Success - Welcome Home! ​Venerable Abbess Manshin, President Bernie Siew, MPs Hon Nicky Wagner, Poto Williams and Dr Duncan Webb, Community Board Members, Helen Broughton & Aaron Campbell, and Consul General Wang, members of the interfaith community, especially Imam Ibrahim - As-salāmu ʿalaykum - we understand why it was hard to come - thank you for coming and opening your heart to us today - we feel your pain and we will walk with you and our Muslim brothers and sisters for as long as it takes. Thank you to the Buddhist Light International Association SI and Fo Guang Shan for the invitation to join you again today for a ceremony that is deeply meaningful in light of the events of the 15th March and the weeks that have followed. I have said that we will not be defined by what happened on that day; we are defined as a city and a nation by the outpouring of grief, love, compassion and kindness that followed. And together we have stood in awe of the capacity for forgiveness and love expressed by those who have lost the most. We have been humbled and inspired. And look how that has echoed across the world. Peace has triumphed over violence, unity has triumphed over division and love has triumphed over hate. And as you do every year, you have invited us to celebrate compassion, the joy of giving, peace and love in the context of the anniversary of the birth of Buddha, represented as it is by the shared values that underpin all faiths as well as the Universal Declaration of Human Rights. Thank you for opening your doors to us all, and for making those values real in your deeds. When I saw the invite to this evening’s launch, I accepted immediately. I have a unique story of my own to tell as the Mayor of the City, who at the time was the MP for the vast swathe of what became the residential red zone and is now the Otakaro Avon River Corridor, and who had the lived experience of being red zoned, while offering support to hundreds if not thousands of constituents, who like me struggled to come to terms with the enormity of what was described as a voluntary offer yet proved to be the government’s imposition of what can only be described in today’s terms as ‘unmanaged retreat’. If I were to record my Red Zone Stories, the ones I would tell today, would be different to the ones I would have told back then. Before the red zoning I would have recorded my love of Bexley - the hidden gem as we called it - we were the people who truly knew the value of the wetlands and all that it meant to us to live so close to nature in all its glory; to those of us who attended regular plantings there; to those of us who were the amateur photographers who enjoyed the bird life - the treasured memories of the pukekos, the herons, the kingfishers captured back then, so precious now; to those of us who saw the benefits the wetlands offered the school children who while learning to care for their environment were learning their skills outside the classroom - to those of us who knew many of our neighbours before the early hours of Sept 4 2010 - the wake-up call that changed our lives forever. This app provides us with a place where we can share these treasured memories. Other memories, the stories I would tell now, as the local MP I found out a whole 10 minutes before the public announcement, that my home was in one of the areas that would be red zoned. I also learned about the areas that were still up in the air; I knew instantly what more uncertainty would mean for them. I can recall the Brooklands residents who found out they were red zoned when they switched on the radio, or called into the dairy, whose owner had dissolved into tears when the journalist came in to find out what she thought about the decision. The woman we had helped get her rating valuation reduced as she thought it was too high. How could we even have guessed that her rating valuation would be used three years later for a purpose other than for what it was intended. The home owners who were not insured - the reasons had nothing to do with a deliberate hard-nosed decision to self-insure - the callous and cruel reason given by the government to offer them insufficient money to move on. There were those who were struggling with their insurers who were saying they could rebuild our damaged houses in the red zone, affecting what they would offer for our houses. ‘No one would be worse off’ became the reluctant concession that there were winners and losers. As an MP I used my my own example as a means of making the case for countless of others, whose choices were limited by the rating valuations - I had been making the case for land swaps, so communities could rebuild together - the response was to attack me personally in Parliament - saying I wanted more for my land than it was worth. I was publicly humiliated by a Minister that had no feelings for the position I was describing not for myself but for others. It was hard for many of my constituents to accept a time limited offer when under duress that gave them insufficient money to buy land to rebuild one. The truth is though after several months of living in Bexley as part of the red zone, as neighbours started to leave and the roads became even worse than they were after the quakes, I couldn’t wait to go. My reason for wanting to live there recorded in the stories of the red zone as distant memories. What gives me hope today is the thought of all the uses that this area could offer right now, for trialling new technologies and bringing high paid jobs into this area, which would help New Brighton as the destination it is on the Otakaro Avon River Corridor that creates the journey from the city to the sea. And one day I know Bexley will return to the state that nature intended, before the decision was made to drain the land and build a community that for more than a decade I was proud to call home. Congratulations and thank you for letting us all share our stories. I stand alongside Ngai Tahu and mana whenua, to greet you all and to welcome you to Otautahi, our city of Christchurch. To those who watch from afar, welcome; you are one with us today. To all the people of Christchurch, including our elected members and local leaders, and especially especially our Muslim brothers and sisters, we come together again as one, as we have done every day in our hearts and minds since the 15th March 2019. I started my welcome with an acknowledgement to those people who were taken from us on that day. I offer sympathy on behalf of the people of Christchurch to all the families, who grieve - you do not grieve alone, we grieve with you. What happened here in our city on that day, which was a cowardly attack on our Muslim communities in their places of worship at their time of prayer, was also an attack on us all; on our shared values and on our way of life. Inspired as it was by hatred, those actions were designed to divide us and tear us apart; they have instead united us, as we are embraced in the compassion and love that we feel for each other no matter where we were born, no matter how we express our faith. We thank everyone who has sent a message, a tribute, a flower, a poem, a picture - children from across the country have shared their aroha in such special and poignant ways - and the city leaders across the globe, who have stood shoulder to shoulder with their communities in all their diversity, expressing the same solidarity we can feel here today. Thank you for sharing our grief and thank you for helping restore our faith in humanity. I ask that today, we collectively express our gratitude and thanks to all those who have played such an extraordinary role in our city in response to what has occurred. We thank our first responders including the NZ Police, St John Ambulance services and the members of the community at the mosques and passers-by. We honour those who went above and beyond the call of duty. We thank all the hospital staff, who worked tirelessly to save lives and who have offered care to those who were injured and their families. We acknowledge the dedication of the coroner’s, city council, City Care and funeral director teams, along with members of the wider NZ Muslim community, who all worked together to ensure the families could bury their loved ones with dignity and respect. We honour the Imams for their inspiring leadership and for inviting us to attend their Call to Prayer; we honour the Muslim Community Leadership Group for their dedication and we thank all those that have provided cultural advice and ensured decision-making has had the community at its heart. We will continue to work together as one. We acknowledge and thank the Prime Minister and the NZ government for all the support they have wrapped around our city and thank them for taking urgent action to strengthen New Zealand’s gun laws. And we call upon the social media platforms to take more responsibility for ensuring that such atrocities cannot be live-streamed and that messages of hate that fuel attacks on members of any community cannot be shared. Hate has no place here; hate has no place anywhere. I have witnessed people across the city and within the building where I work drop everything and commit every ounce of their being to supporting the response and setting up for the recovery. We know from our experience that placing the community at the heart of all that we do, ensures our purpose and direction will be true. That is why I am confident that we will get through this time and emerge a kinder and more compassionate place, something we wish for the world. However, first we each have a responsibility to ask the hard questions of ourselves about what comfort any of us might give to people who harbour racist or extremist views. We now know where this can end. We need to look in the mirror, be honest about who we are and we must all pledge to being a city of inclusion that genuinely embraces diversity every day. Otautahi Christchurch is a city of peace; we are a city committed to honouring human rights. We need to make this real and we can help lead the way. We will not be defined by what happened on the 15th of March 2019, we are defined by what followed - the unity, the love, the compassion and the kindness - they are who we are. Nothing will come between us, no one stands alone, we stand together. We are one - ko tatou tatou. It is with a heavy heart that I stand to record the atrocity that was perpetrated on our city on March 15, 2019, and to invite all of us as the Christchurch City Council to record our condemnation for this attack, which may have targeted our Muslim communities, but which was an attack on us all - an attack on our values - and our way of life. This act, which was inspired by hatred and was designed to divide us and tear us apart; it has instead united us with all our communities and embraced us in compassion and love. An injury to one is an injury to all. We are one. On March 15 2019, as school students handed over their open letter to city and government leaders demanding that we take action on climate change, a white supremacist opened fire on a group of people who had gathered in prayer at Al Noor Mosque. He then went to the Linwood Islamic Centre and opened fire once more. His plans were disrupted by the courage of a man, who took action, and then by the two police officers who rammed his car and brought his rampage to a halt. The lives that were saved by the actions of these three men are incalculable. Other stories of heroism are emerging every day as we come to terms with the enormity of what has occurred. This man, who is entitled to a fair legal process, is entitled to nothing more. No name. And no voice to his extremist views. He came to our city with hatred in his heart and his intention to kill already formed in his mind. His hate was not born here nor nurtured here. However, we all have a responsibility to ask the hard questions of ourselves about what comfort any of us might give to people who harbour these extremist views, through anything we might say or do. In 2017, we as a council endorsed the Christchurch Multicultural Strategy Te Rautaki Matawaka Rau – Our Future Together - I have reflected on its words since Friday the 15th, and I have asked myself whether we fully appreciated their significance before now. - Aroha ki te whenua, te tūāpapa o te manaaki. Kia atawhai ki te iwi. Love and respect to the land, which is the foundation of hospitality. Care for the people. - Ōtautahi Christchurch is an inclusive multicultural and multilingual city that honours Te Tiriti o Waitangi and values our environment – a city where all people belong. A safe place that people are welcomed into, where each person is cared for and Rangatiratanga is respected. A commitment to welcoming all who arrive to Ōtautahi with aroha and manaakitanga. A commitment to reciprocity when given such a welcome. An environment we can access where we can achieve common goals and understand the importance of working together. I ask colleagues to reaffirm our commitment to ensuring those words are translated into reality. And finally I ask that we collectively express our gratitude and thanks to all those who have played such an extraordinary role in our city since this atrocity occurred, acknowledging the impact it has had. We know from our experience that placing the community at the heart of all that we do, ensures our purpose and direction will be true. We will not be defined by what happened on the 15th of March 2019, we are defined by what followed - the unity, the love, the compassion and the kindness - they are who we are, and we commit to ensuring that this moment in our history defines a future committed to social change for good. That’s our history and that’s our future. And We Thank everyone who has sent tributes, messages of support, offers of help and financial contributions, along with all of those who have attended vigils in cities and towns across New Zealand and around the world. Before I put the vote, I ask that we all stand in silence in memory of those whose lives were lost. Assalaam Alaykum - peace be upon you - peace be upon us all. May I begin by acknowledging the leadership of the three organisations, first the President of the Pacific Association of Paediatric Surgeons, Shan Zheng; Russell Taylor, President of the Australian and New Zealand Association of Paediatric Surgeons; and last, the convenor of the this 52nd combined meeting, the President of the New Zealand Society of Paediatric Surgeons, Professor Spencer Beasley. And may I warmly welcome them and all the delegates from around the Pacific Rim to Otautahi, Christchurch. I understand that this is the first meeting in New Zealand of the Pacific Association of the Paediatric Surgeons since 2007, so thank you for coming to Christchurch. In my role as Mayor, I am invited to welcome people to our city on a frequent basis - today though is special. You are the first group to hold a conference here at the Christchurch Town Hall since it reopened just over two weeks ago. I know that you booked the more intimate setting of the James Hay Theatre, but it is not quite ready yet. So than you for proceeding anyway. For those that came early, the recital you have listened to is only the third occasion the wonderful Rieger Pipe Organ has been played in this way for eight years. So a special welcome to you all. 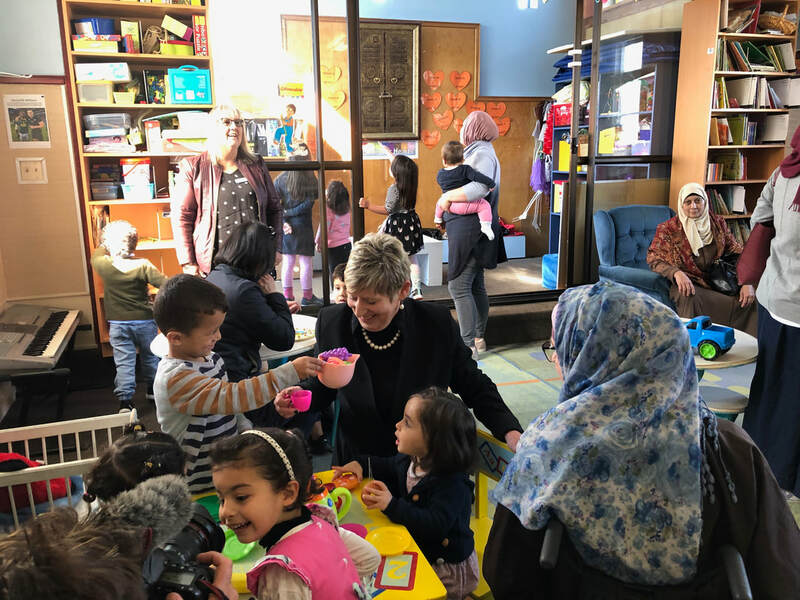 As you know Christchurch has been through a lot over the past few years, and although we will never forget those whose lives were lost or disrupted in so many different ways, we have learned that from disaster comes opportunity. As a city, we have been exploring both the breadth and the depth of those opportunities. And we also also know firsthand just how much people around the world are willing to share their own experiences, so we benefit from their success and learn from their mistakes. Here in Christchurch we are absolutely committed to doing the same for others. I saw on your website your mantra ‘sharing knowledge, improving care’. You have come to a place where we know the value of sharing knowledge. When it comes to children and young people, both their experience of that time and the impact of a post-trauma environment on their development and wellbeing, has been front of mind when we think of improving care. As paediatric surgeons, you have come to the right place to share knowledge so that they will benefit from improved care. And on a personal note, the other wonderful aspect of coming here is that there is much to do and explore, and as the international gateway to the rich and diverse Canterbury region, I invite you to explore all we have to offer. I wish you well in your deliberations, and warmly welcome you to Otautahi, Aotearoa, Christchurch, New Zealand. I was really pleased to be asked to provide some initial thoughts on the importance of localism prior to the release of the NZ Initiative report and the LGNZ Discussion Document. It was great to be able to have an advance look at that, because it has really helped me understand why the public debate on localism is not as well advanced or even understood as it should be. It was the opening chapter which made me open my eyes to what should have been obvious. I preface what I am going to say by referencing the unique experience of a city that has had a considerable sum of money spent on it by central government. And therein lies the rub. A localism approach would not have me saying central government spent money on us. I would be saying central government invested with us in the decisions we jointly made with our communities. Sadly that was not to be. So here’s my ‘aha’ slide. 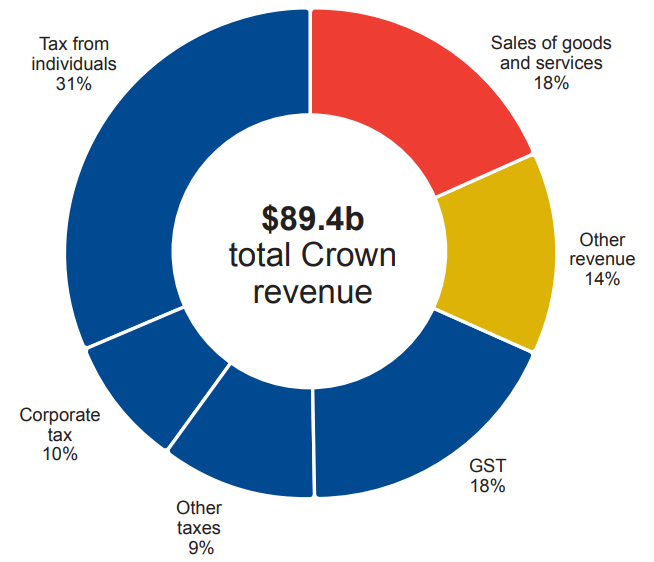 The NZ Initiative report reminds us that we pay central government taxes usually by stealth – not in any shifty sense of the word, but just that we don’t notice it – PAYE and GST are all but invisible to us. Paying tax to local government on the other hand is much more visible. And what’s more central government bolts 15% on top of the rates bill for themselves with the assertion that rates are not taxes, they are payments for goods and services. Yeah right. Receiving a rates bill every quarter is the reminder that we are paying the council for many of the things that we pretty much take for granted. The invoice doesn’t remind us what we are paying for. Local government touches our lives every day. From flushing the toilet, to turning on the shower, to filling the jug, to putting out the rubbish, to walking on footpaths and driving on roads, to enjoying the public parks and gardens…the list goes on. People don’t always connect their rates to what they pay for. And then we are reminded that local government gets to do some of the government’s work for them while paying for the privilege. Dog registration and microchipping, fencing of swimming pools…. (that list goes on too). And central government also gives us ineffective tools – Local Alcohol Plans are meaningless as against the government’s failure to address the real issues that are proven to reduce alcohol related harm – especially the price. And when people engage and they get nowhere – they don’t come back! And of course when local councils invest in economic growth activities that increase tourism or investment, none of the benefits come back to local government – any increase in GST revenue for example goes straight to the Treasury coffers. There was a strong reaction to the detailed report put together by our local economic development agency on the nett level of government expenditure on the city’s recovery, which of course was considerably less than the headline sums. It was very much a ‘how dare you’ response. The irony, as the NZ Initiative points out, is that the average New Zealander pays much more tax to central government than to local government, but it is the local rates they can see, and it is the annual average rate of increase that splashes itself across the headlines of the local papers. Welcome to my world - a world I chose when I left central government to take up the Mayoralty in Christchurch. I am as frustrated by the misconceptions and misunderstanding that surrounds local government as is any other who has not had the benefit of a central government background. But at least with that background I can see how central government shifts responsibility for action, without providing any mechanisms for funding these roles. There are things that should be paid for by property taxes and development contributions, the costs of infrastructure for one, but there are many things we do and do well at the local level that needs government to rethink the funding for. I am pleased the Productivity Commission has this in its sights, and I hope it is resolved. Because there is more we could do, better than a centralised government agency, which could produce better outcomes for our cities, towns and the nation as a whole. At the end of my time in central government I talked about the importance of building resilience at the local level as the only real mechanism to future proof the nation – this has only strengthened in my time in this role. For me localism is dependent on building resilience – and that starts at the community level. I say this because there will be many that will disagree with a Hayek inspired thesis on competition as being the driver for localism. The truth is that competition, particularly when it is driven by the profit motive, can encourage short termism. My thesis is that true resilience can only come from an investment in the long game – in other words sacrificing short term profit gains for long term resilience is not a sacrifice, it’s an investment in the future. Christchurch knows this better than anywhere else. The next slide speaks volumes. The strengthening of sub-stations and resilience planning undertaken by the council owned lines company, Orion, is a real example of a proactive approach to resilience. 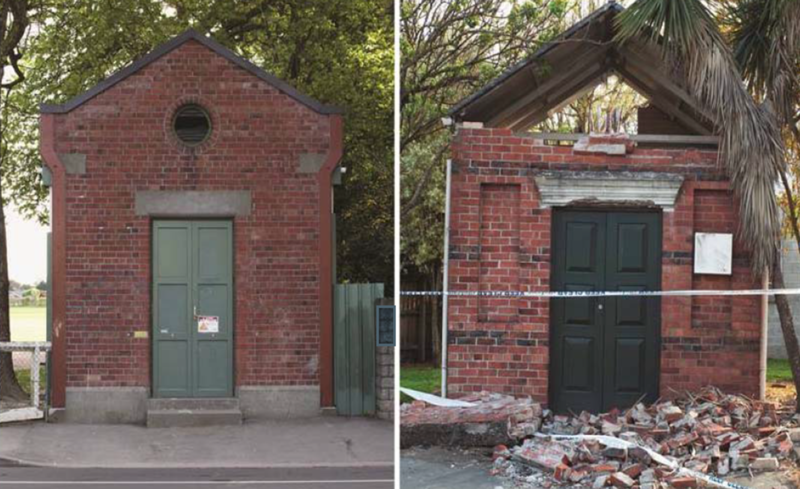 After the earthquakes, we can see the impact on a strengthened substation alongside one they had previously given to the local scouting association. This was part of a $6M investment that protected over $60M worth of assets, but more importantly meant power was not off for 3 months or more. I ask myself the question whether a focus on immediate returns and incentives around the annual bottom line would have seen this investment approved, even with reports that identified the potential seismic risk we faced. The same applies to building community connections – social capital is at the heart of resilient communities – as well we know in Christchurch. I will come back to that but first I want to invite you to look at a summary of the “Localism 10 reasons why”. I’m letting the first four go. Never underestimate the capacity of local government to mirror the failings of central government especially when it comes to silos. You’d think Christchurch which has seen the benefits of the silos come tumbling down after the earthquake, would have a powerful incentive not to rebuild them. President Donald Trump doesn’t have a patch on public service default settings when it comes to building walls. I’ve highlighted innovation, resilience and empowerment – all of which lead to better local government creating the right incentives for investment and as a result reducing the overall cost of government. I fully agree that we in local government have an obligation to ensure that the investments we make are cost effective. But so should central government. The NZ Initiative has highlighted the reality that the performance of local government is measured in a much more up front and personal way than would ever be applied to central government. And the truth is we can engage and respond better because we are closer to the action. As I said there is work that is currently done by central government when delivery would so much better and cost effective at the local level. The report reinforces the fact that there is a clear relationship between localism and local government voter turnout. This makes sense. The higher the relevance, the greater the incentive for participation. This again was evident in the immediate aftermath of the earthquakes. Share an idea was a campaign by the Council to ask residents what they wanted to see in their city. 10,000 people turned up – 106,000 ideas were submitted. The project was an overwhelming success, and to this day is used as an exemplar of civic engagement and activation. The council received an international award for co-creation. Unfortunately central government decided to override the process with a 100 day blueprint developed behind closed doors and veiled in confidentiality agreements. Co-creation became a hollow promise when decision-making left the local intiative behind. Localism encourages innovation by creating opportunities to try out different approaches, and which engage the community directly. This means towns and cities have the opportunity to experiment and “try things out”, learning from the experience in a way that central government cannot. And this builds resilience. Communities regain their sense of capacity – we really can do things for ourselves. 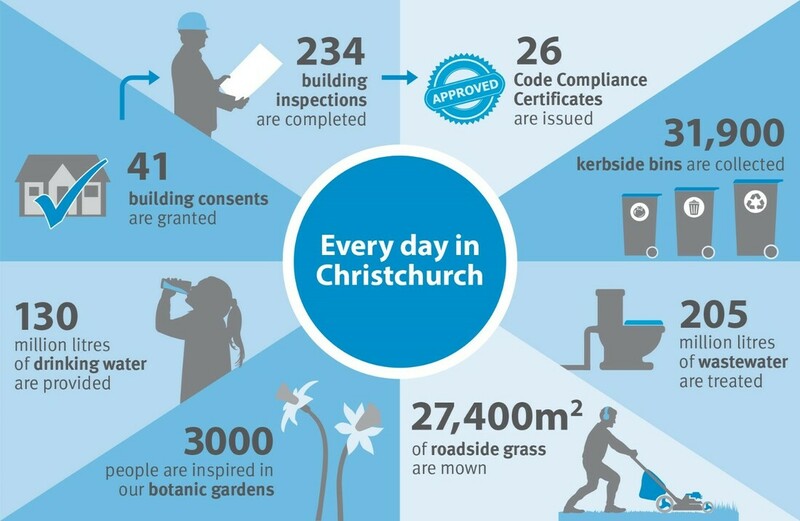 This was our experience in Christchurch when the decision was taken to establish a government department to run the city’s recovery. When the department was wound up, all of the soft infrastructure they had created disappeared, and in some instances, as a city, we had to start again. Strong local relationships and fully engaged networks are the foundation stone for any post disaster environment. They can be built on and made stronger, and, more importantly, they don’t disappear. If we look at the groups that self-organised and engaged in innovative and creative problem solving in the wake of the earthquakes, there is no way you wouldn’t want to harness that energy and capability in the running of the city. When people have an opportunity to genuinely contribute, they come up with amazing initiatives to help themselves and each other across the city - life in vacant spaces, student volunteer army, gapfiller to name but a few. The Ministry of Awesome became a catalyst for the bringing creativity to the fore and creating a way that people could work together in innovative ways. Strong community groups that already existed did the same – Lyttleton Project, Aranui Community Trust…. The social capital that is built when engaging communities in their own future planning decisions, creates deeper bonds and makes them even more able to withstand future shocks and stresses. This is what resilience is all about – social capital. One of my favourite books is If Mayors Ruled the World. I usually get a laugh when I say that, but Benjamin Barber’s theme is contained in the sub-title - Dysfunctional Nations, Rising Cities. As we all know, the challenges that come with pandemics, terrorism, a global financial crisis or climate change don’t respect lines on a map that create the borders between countries. 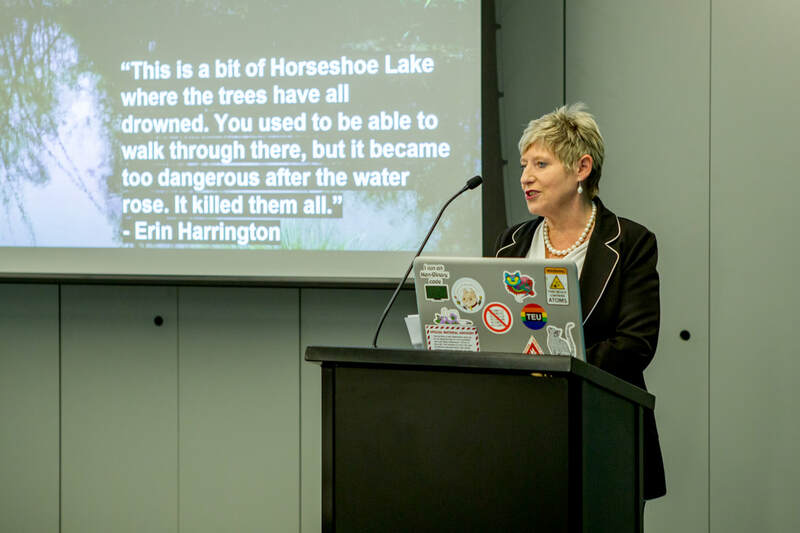 It is at the local level, that we can develop the capacity to prepare for and resist the impact of such events – and that is why it is cities that are pioneering the work on resilience. And urban pragmatism can trump national ideology – just look at the reaction of major US cities in response to the United States’ withdrawal from the Paris Accord. So this brings us back to the theme for today. For me it’s all about trust. It is the essential ingredient that forms the glue between people, groups, communities and their relationships with governments – be they local or national. We forget, however, that trust is a two way street. Governments – both central and local – need to trust the people too. I worry that communities have ceded their authority and their capacity to act to governments – I pay my taxes and my rates – so that’s someone else’s job now. Our experience in Christchurch saw communities empowered as they proved their competence to act, and on the flip side, communities became frustrated and disillusioned when they were excluded. So where does the capacity to build trust lie – the Beehive or the local town hall. So I end with a picture from my local supermarket. They stopped me to talk about a pothole. The t-shirt explains localism better than I ever could. “Let me drop everything and work on your problem”. I too acknowledge all the dignitaries who have gathered here today and all the people who have come to see our Town Hall. Can I also acknowledge everyone who is here that was associated with the then six metropolitan territorial local authorities who collaborated on the building of the Town Hall – Christchurch City Council, Paparua and Heathcote County Councils, Riccarton and Lyttelton Borough Councils, and Waimairi District Council. When the Christchurch Town Hall was originally opened on 30 Sept 1972, a small booklet was published - it was called A Dream Come True - the Christchurch Town Hall by WJA Brittenden. It describes the extraordinary partnership between the architects, Miles Warren & Maurice Mahoney. And it details their work from sketches worked on together at Church Bay, through to the over 300 pages of the detailed work that was submitted. No Computer Assisted Design back then. And it speaks to the incredible attention to detail to get the acoustics right - making adjustments to the plans as they went along - the work of Harold Marshall finding its way into a list of the top ten acoustic venues in the world. I was never confident that we could replicate this in a modern building, and if we could whether we could afford it. We are so fortunate to have Sir Miles Warren, family members of Maurice Mahoney and Sir Harold Marshall here today. 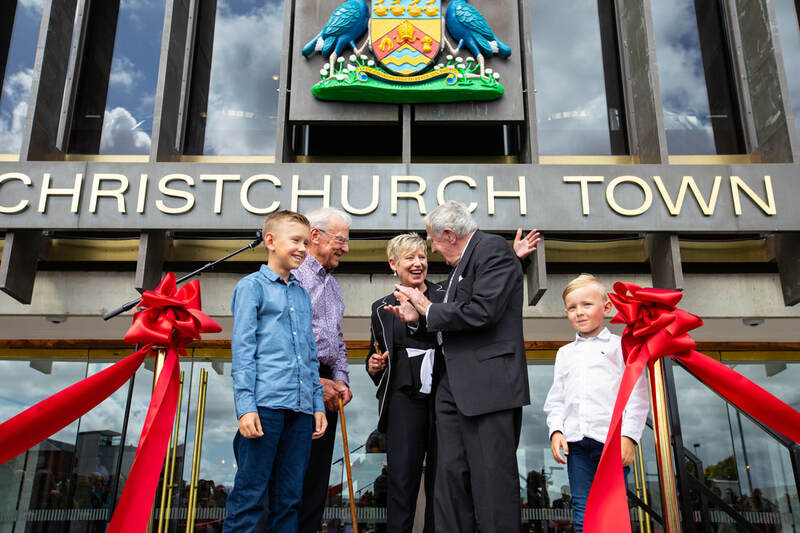 And I must too acknowledge members of the Hay family - Sir James Hay played an extraordinary role leading the Christchurch Town Hall Promotions Committee for many years. They set fundraising targets that they continued to exceed. His contribution was second to none and it was said the project would never have been achieved without him. And Sir Hamish Hay who chaired the Council’s Town Hall Committee played an enormously important leadership role as well. His grandson sent me a copy of the programme from the original opening yesterday. I brought it with me so he could feel a part of today as well. I remember coming to an open day event like today, when we queued and filed through this extraordinary building. I was was just 12 years old. I remember looking at the Pat Hanly mural and thinking it was the most amazing thing I had ever seen. It has remained a powerful memory ever since. The reason that I look back on this day is because the earthquakes have caused us to lose much of our heritage. A few months ago I opened a new building, Turanga, our central city library that is so much more than a library. It speaks to the future. Today we honour the past, with modern technology ensuring that it too will stand the test of time. On that note can I acknowledge the Hawkins team that has lead the project with more than 70 other companies and a diverse workforce from many countries involved in repairing the extensive damage and restoring the valuable heritage features of our Town Hall. The last three years has seen significant work both inside and underneath the Town Hall. It has been strengthened to 100 per cent of the New Building Standard. In addition there have been significant improvements, which create a much better layout and flow, much better use of the function rooms that now take full advantage of the outlook across Victoria Square and we are looking forward to the completion of the James Hay Theatre which will have improved acoustics, retractable seats and other features that will enable many more options for use. And lastly we are also looking forward to the completion of what will be a purpose built home for the Christchurch Symphony Orchestra. The result is a building that retains all its original character and style, but is stronger and better equipped to again play its role at the heart of our civic and cultural life - citizenship ceremonies, graduations, fundraising balls, conferences and of course concerts. Today the memories will flood back as you come through the doors to the foyer, enter the magnificent Douglas Lilburn Auditorium, see the Avon, Victoria and Limes Rooms. Gaze at the very 70s Pat Hanly mural and visit the James Hay Theatre, which is not yet completed, but you’ll get a taste of what’s to come. And you’ll also get to appreciate the acoustics of the auditorium again with a selection of musical acts playing during the open days. Many of the performers are returning to the Auditorium for the first time in eight years. When the next chapter is written, it will record the history of the decision to restore our Town Hall after the damage wrought by the February 22 earthquake and it will record the events of this re-opening. And those of you who have come today will be part of that history, and new memories will be created. And I am sure you will agree we made the right decision. Tena koutou, tena koutou tena ra tatou katoa.